We are located just over a mile from the Bonnie Banks of Loch Lomond, in the centre of the town of Alexandria and adjacent to the Christie Park. You can contact us via email at information at valebowlingclub dot co dot uk but If your requirement is urgent please telephone us. Note that invoices should not be sent to this email address. If you need to contact us about the website use the above email address. We have been around for quite a while. 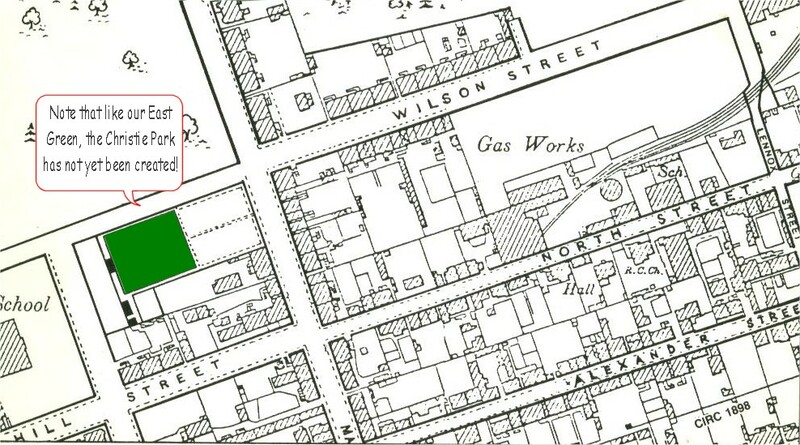 The image below is from an old (1898) map of Alexandria in the days when we had just one green and the Christie Park had yet to be created.